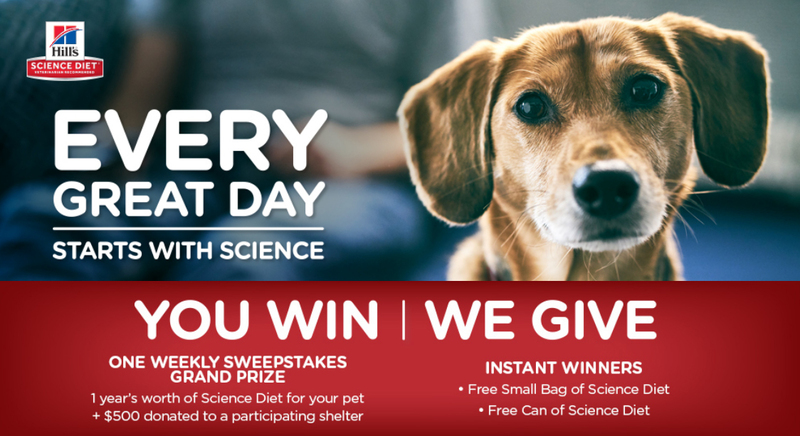 Play the Hill’s Science Diet Every Great Day Instant Win Game for your chance to win Free Hill’s Science pet food and help out a shelter in need. Official Rules: US, 18+. Begins on March 7 and ends on January 7, 2019. One entry per person per day. This is a great addition to the Empty the shelters program.